Deadlines. In general, the copy deadline for each issue is the Friday 10 days in advance of the Monday cover date. The deadline for the Bulletin that covers Feb. 26-March 4 is Friday, Feb. 16. A complete publication schedule is available at www.princeton.edu/ pr/ pwb/ deadlines.html; or by calling (609) 258-3601. Princeton NJ — Marie Griffith, professor of religion, has been named the new master of Rockefeller College, one of Princeton’s six residential colleges. Because she will be on leave during the next academic year, Jeff Nunokawa, professor of English, will serve as acting master during 2007-08, with Griffith assuming her new role on July 1, 2008. They will succeed Maria DiBattista, professor of English and comparative literature, who will conclude her second term as master of Rockefeller College at the end of this academic year. Griffith first came to Princeton in 1995-96 as a visiting research fellow in the Center for the Study of American Religion. She returned to the University in 1999 as associate director of the Center for the Study of Religion and joined the religion department faculty in 2003. She teaches and conducts research on American religious history, women and religion, and religion, gender and sexuality. Griffith has served on a wide range of University committees, including the Committee on Conference and Faculty Appeal, the Task Force on the Status of Women and Minority Faculty at Princeton, the Council of the Princeton University Community (CPUC) Rights and Rules Committee, the Faculty/Staff Sexual Harassment Panel, the University Research Board, and the Advisory Committee of the McGraw Center for Teaching and Learning. She also is a member of the interdepartmental committees for the Program in American Studies and the Program in the Study of Women and Gender. She has been a faculty fellow at Mathey College since 2004. 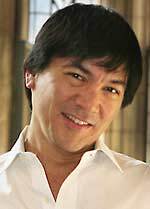 Nunokawa joined the faculty in 1988 and teaches and conducts research on such diverse topics as the Victorian novel, literary theory and criticism, lesbian and gay literary theory, and Asian American literature. He won the President’s Award for Distinguished Teaching in 1992 and the Class of 2001 University Award for Distinguished Teaching in 2000. He teaches regularly at the Breadloaf School of English, a summer program for high school teachers. Nunokawa is a member of the CPUC and its executive committee as well as the editorial board of Princeton University Press. He served previously on the CPUC Rights and Rules Committee and the Priorities Committee. A faculty fellow and freshman adviser at Rockefeller College from 1989 to 1994, he has been a fellow at Wilson College since 1995. The appointments were announced by Nancy Malkiel, dean of the college, and Kathleen Deignan, dean of undergraduate students. 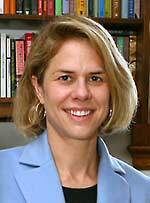 A faculty member serves as the head of each of Princeton’s residential colleges. The masters work closely with their staffs to build supportive communities and to devise programs and activities to extend education beyond the classroom.